Sunbridge Institute is approved by the U.S. Immigrations and Customs Enforcement’s Student and Exchange Visitor Program (SEVP) to invite the transfer of foreign students into the United States to study at our Institute. Please read below to learn about the step-by-step visa and application process for international students. • Apply to the Sunbridge program of your choice as early as possible, preferably by October of the prior calendar year, to allow plenty of time to complete the visa process. • Once admitted, fill out a Sunbridge I-20 Eligibility Form, in which you will have to prove your financial ability to pay for tuition and living expenses while present in the U.S.
• The I-20 Eligibility Form will be reviewed by the Sunbridge Institute registrar. If approved, an I-20 Form will be generated and sent directly to you, at which point you will have to pay a government fee of approximately $200. Please allow 4 weeks from the time your I-20 Eligibility Form is submitted for this process to take place. • Once you have paid the government’s fee, apply for a student visa through your local American Consulate. • Bring the I-20 Form to the Consulate meeting. • If the Consulate approves the visa, they will issue it to you directly, at which time you can make travel arrangements to get to the U.S. for your first Sunbridge Institute intensive. See a pictorial guide to the I-20 process. 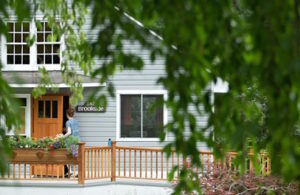 • When making travel arrangements, keep in mind that you cannot arrive more than 30 days prior to the start date of your Sunbridge Institute intensive, and you cannot depart more than 30 days after the intensive end date. • Students using this type of visa are not allowed to work in the U.S. in any capacity, even as a volunteer. 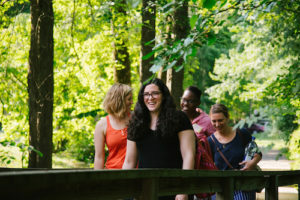 • Any practicum requirements for the program you are attending can be fulfilled at Waldorf schools in your own country. • The I-20 process must be repeated for each Sunbridge Institute intensive. There is a government fee associated with each I-20 form generated. • The I-20 is a form provided by Sunbridge which tells the Consulate that you have been accepted to Sunbridge Institute and deemed fit to support yourself financially while in the U.S. It is a factor in the Consulate’s decision about whether or not to grant a visa, but is not a guarantee that a visa will be granted. • In order to maintain your visa status through this program, you must be in attendance for the duration of the intensive you are participating in. • All applicants whose first language is not English or who have taken their prior education in a non-English-speaking college or university must demonstrate oral and written proficiency in English during the admissions process (through a hand written personal statement and a phone conversation). Taking the Test of English as a Foreign Language (TOEFL) or the International English Language Testing System (IELTS) may be required. 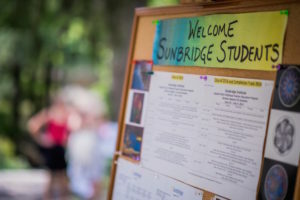 Please feel free to reach out to our admissions and summer coordinator Barbara Vitale with any other questions at info@sunbridge.edu / 845-425-0055 x20.